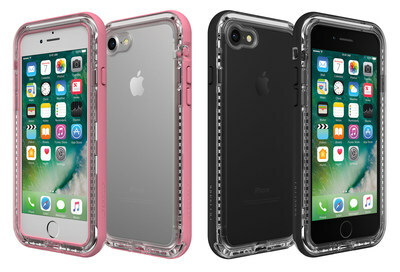 SAN DIEGO, Sept. 12, 2017 /PRNewswire/ -- LifeProof built its reputation on sleek, ultra-protective iPhone cases. From 360-degree coverage to the first screenless waterproof case, the protection pioneer has always pushed the limits. LifeProof expands its lineup of action-ready cases with NËXT, the next-generation LifeProof case that complements water-resistant devices, available now to preorder for iPhone 8 and iPhone 8 Plus and coming soon for iPhone X.
LifeProof's best-selling waterproof case line, FRĒ, will also be available soon for iPhone 8 and iPhone 8 Plus. 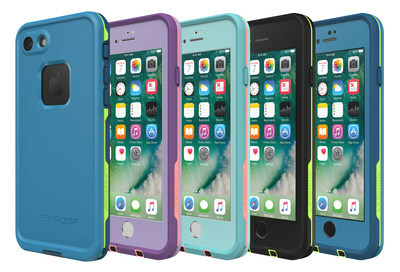 "LifeProof changed the iPhone protection game with its industry-leading waterproof cases," said LifeProof CEO Jim Parke. "Now, even those who don't need a waterproof case can experience LifeProof protection with the introduction of NËXT. With the features available in today's iPhones, sometimes all you need is a thin, light case that protects from drops and dirt. NËXT delivers that in style without sacrificing the quality we're known for." In true LifeProof fashion, NËXT protects from drops up to 6.6 feet (2 meters), carries an IP-5X rating for blocking dirt and dust and keeps snow out. It is available in four colors – Black, Beach Pebble, Seaside and Cactus Rose – and is also compatible with iPhone 7 and iPhone 7 Plus. FRĒ will carry on the tradition of true four-proof protection. The two-piece shell cloaks iPhone 8 and iPhone 8 Plus in 360 degrees of security. A built-in screen guard keeps the display free of scratches while the phone is fully sealed from water to 6.6 feet for up to an hour. FRĒ for iPhone 8 and iPhone 8 Plus are drop tested to 6.6 feet and block out dirt and snow. It will be available in six colors. NËXT for iPhone 8 and iPhone 8 Plus is available on preorder now for $79.99 MSRP. To learn more, preorder cases or to sign up for product notifications visit lifeproof.com. After disrupting the consumer electronics industry with award-winning waterproof smartphone cases, LifeProof®continues to innovate and inspire. In its unapologetic quest to reimagine, reinvent and use technologies in extraordinary ways, LifeProof empowers athletes, explorers and adventurers to live life without limits. From its lineup of action-ready phone cases and accessories to the selection of waterproof, drop-proof, Bluetooth speakers, LifeProof is the gear you grab to go get living.